Order Wandering Palate today with over 120 healthy paleo recipes. I am a Certified Health Coach helping people heal from Lyme, Mold and Autoimmune Disease. Learn more about my journey and how we can work together. You can follow my journey on Facebook and Instagram. This post may contain affiliate links. I may earn a small commission from purchases made through them, at no additional cost to you, which helps keep this content free. I only promote products I trust and use myself. Please see Disclosure Policy for more details. 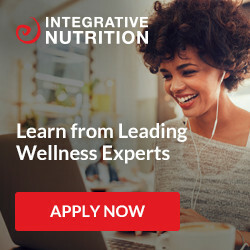 Erika Schlick-Sinclair became an IIN Certified Health Coach after a personal struggle with Lyme Disease, Mold Illness and Multiple Autoimmune Diseases. Her journey to health is covered in her blog The Trail To Health, which also serves as a guide and resource for other people dealing with chronic conditions. In addition to pursuing knowledge about ways for people to heal she enjoys going to the beach, snuggling with her adorable French Bulldogs and spending time with her friends and family. Disclaimer: This site is not intended and should not be used as a replacement for medical advise or a medical doctor. Furthermore, the information on this site is not intended to treat, diagnose, or cure any condition or disease. This is simply a place for me to tell my story of healing and share what worked for me in hopes that you can explore this knowledge with your doctor or health care practitioner. Please consult with your own physician or health care practitioner regarding any of the suggestions and recommendations made on this site. All material and information presented on this website is intended to be used for educational purposes only. All recipes, notes and photography are original creations and property of Erika Schlick – The Trail To Health. Please feel free to share the recipes and photos but you may not re-publish these recipes or photos as your own. Some links on this site may be affiliate links. All items listed are products I use and trust myself and want to share with my community. The cost to you is the same, it just means I earn a small commission if you purchase with my link which helps keep my blog and recipes active. Your support is greatly appreciated.